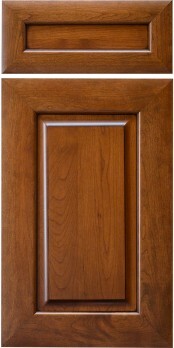 Milan is another one of Conestoga’s popular contemporary mitered doors. It is complemented well with our U cove raise. NOT AVAILABLE IN INSET CABINETS. Frame only OK. Square bead mullions only.